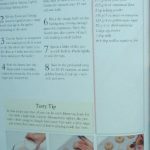 I had most of the ingredients – Wheat flour and Cranberries were the ingredients that tempted me to try out this recipe! 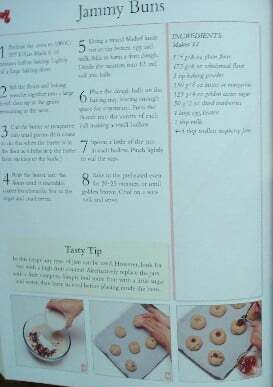 And I found it to be very simple for a novice baker like me. 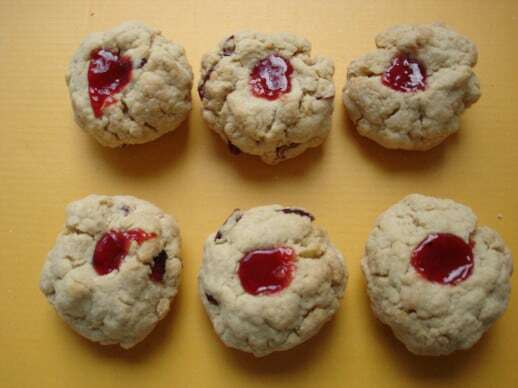 Delicious and crispy Jammy Buns for WBB #7 hosted by the versatile Nandita. The original recipe used golden caster sugar and raspberry jam. I have used white sugar and mixed fruit jam instead. Preheat oven to 190 oC/ 375oF 10 minutes before baking. Lightly oil a baking sheet.Sift the flours along with the baking powder into a bowl.Cut the butter into small pieces. Rub the butter into the flours untill it resembles coarse breadcrumbs.Stir in the sugar and cranberries.Stir in the beaten egg and milk.Mix to form a firm dough. Divide the mixture into 12 and roll into balls.Place the dough balls on the baking tray, leaving enough space for expansion. Press the thumb into the centre of each ball making a small hollow. Spoon a little jam in each hollow. Pinch lightly to seal the tops. Bake in the preheated oven for 20-25 minutes or until golden brown. Cool on wire rack. Jammy Buns were delicious and turned out to be good for a first attempt. You have to excuse a little rocky shape for my crisp buns since my little one helped me do it. He was down with a severe bout of Dysentry and I had to entertain him!! How nice of you to allow your son to help you.The kids always love cooking with us. Just bcos of him the buns are great looking. @I try to involve him wherever possible so he is also entertained and I get my work done.Thanks for your kind comments. first time here, such a nice blog. Hey, here they call this type of cookies – thumb print cookies. 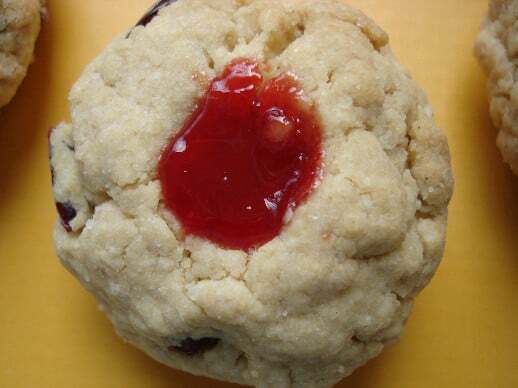 You make a hollow by pressing thumb in cookie dough and fill it with fruit jam of different types. Very tasty and Vijay likes this type of cookies. @Thanks all of you.I need ‘Baking’ encouragement!